We perform construction of commercial and residential buildings from the ground up, as well as the remodeling of existing buildings and tenant improvement projects. Our commercial service handled projects in excess of $ 5,000,000 in size. Our residential construction services covers everything from complete new home construction, to remodeling or repair projects. Architect and Design service is available for both our commercial and residential construction services. We specialize in one on one with our customers and we pay strict attention to detail. We inform our clients of what we are going to be doing weekly, if not daily. We listen to what our clients say and want and try to implement them as cost effectively as possible. We are cost conscious, reliable, and responsible. We are in the business for the long run so it is advantages for us to have our clients happy and satisfied. We will do what ever it takes to achieve this goal. Quality, reliability and pride is #1 with us. It’s the immense feeling of pride that keeps Brad Thaute building custom homes. The knowledge that a home built by his team will be there for years to come is complete job satisfaction. Brad knows each new homeowner had a wonderful experience and each home was built with nothing but the highest quality. 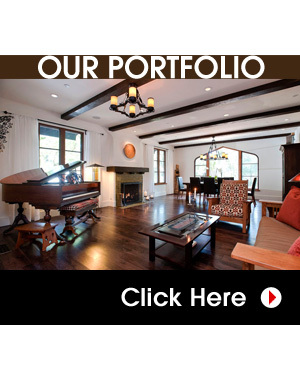 Brad owns one of the most reputable building firms in the bay area—BL Builders. The timeless personal attention that the BL Builders team lavishes on their customers is practically unheard of in the industry. As a customer, you have every reason to expect a daily update on the progress of your home, and Brad makes it his goal and promise to speak with you each day of construction. He is also on-site managing the quality of construction. You deserve the best. It’s good customer service practices that lead to lasting relationships and BL Builders’ goal is to establish enduring clientele. Part of the customer service process is achieving total customer satisfaction. Open communication is a quintessential element to superior customer service and is standard business practice for BL Builders. By first working one-on-one with each client to learn their exact wants and needs and then implementing each item into the home, Brad and his team get excellent results—a happy customer. Being knowledgeable in the latest construction technologies, the team at BL Builders has the capabilities to construct full basements and any size custom home. BL Builders uses unique building materials and implements audacious ideas into every home. Exotic hardwood floors, multimedia rooms, SmartHouse systems, marble and granite surfaces as well as central vacuum systems and outside fireplaces all meld together to create the envy of the neighborhood—your home. But, really, the choice is yours. Each home is completely custom. The most cost-effective methods are implemented when creating a living environment you and your family will enjoy for generations. By working closely with you, BL Builders can create the home you’ve always wanted…the home of your dreams. The decision to build a custom home is the largest decision most people make. As a company that limits the number of jobs it accepts and works on a referral basis is proof positive of their dedication to providing the best customer service. You can trust BL Builders to measure up to your highest expectations. Contact us today to see what we can do for you.